Be a Natural Hair Article Contributor! "Natural Hair Tales of 1BlessedNatural". There is no monetary compensation for articles submitted, but you will receive full credit for the articles you write. Your name, photo (optional), and website (optional) will be posted along with your article. It will also be listed under the "Contributor" category. 1. Product Reviews- Please check the product reviews at the bottom of the page to see which products have already been reviewed. If you'd like to be a candidate for consideration as a contributor, please send an email to 1BlessedNatural[at]gmail[dot]com. Please type "Proposed Article" in the subject line. In the body of the email, use 3-5 sentences to tell me about your proposed article. All articles submitted must be your own original work. If your article contains a hyperlink, please provide the link and words to be linked. If the article submitted has been posted elsewhere, please provide the link or place where it has been posted. Please, no profanity or hatred articles. I look forward to hearing from you all! 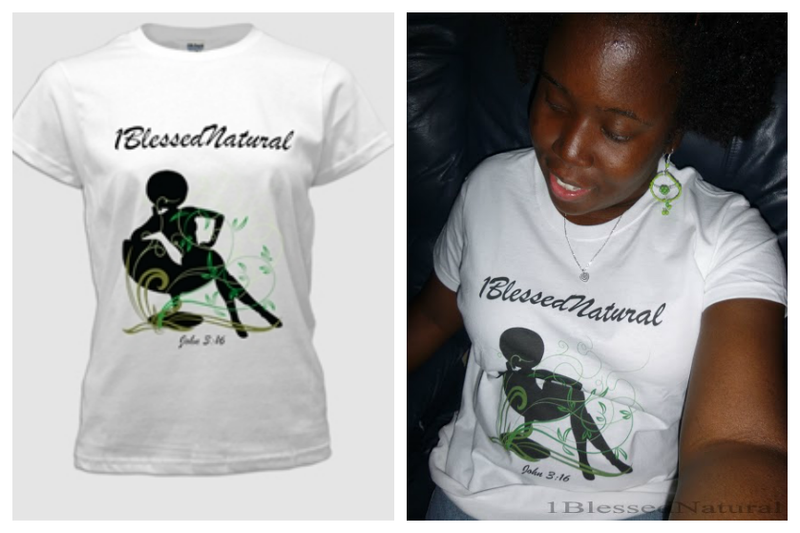 Get your 1BlessedNatural t-shirt in time for Spring!